He had more pressing considerations at the time – mainly celebrating like mad with his teammates and more than 50,000 fans. But when Divock Origi stretched his neck muscles to nod in the 96th-minute winner against Everton last Sunday, settling the 232nd Merseyside derby in Liverpool’s favour, he was following in a niche tradition: that of the unlikely hero. Many of those who have claimed starring roles in famous matches over the years emerged in challenging, unexpected or unusual circumstances. ‘Unlikely hero’ is perhaps a harsh label to attach to someone who scored 37 goals in 92 starts during the most successful era in the club’s history, but it’s worth remembering a few key points about Liverpool v Saint-Etienne, the second leg of a European Cup quarter-final in March 1977, and the match that defines the career of ‘Supersub’. It was a game that threw together two truly formidable outfits, champions of their domestic leagues and sides imbued with a sense that their moment to lift ‘Old Big Ears’ had come, Saint-Etienne having narrowly lost out to Bayern Munich in the previous year’s final. For a callow 20-year-old from the Cantril Farm estate to step into that frenzied atmosphere, under that pressure, with Bob Paisley’s side 2-1 up on the night but heading out on away goals, and do what he did, was breathtaking. 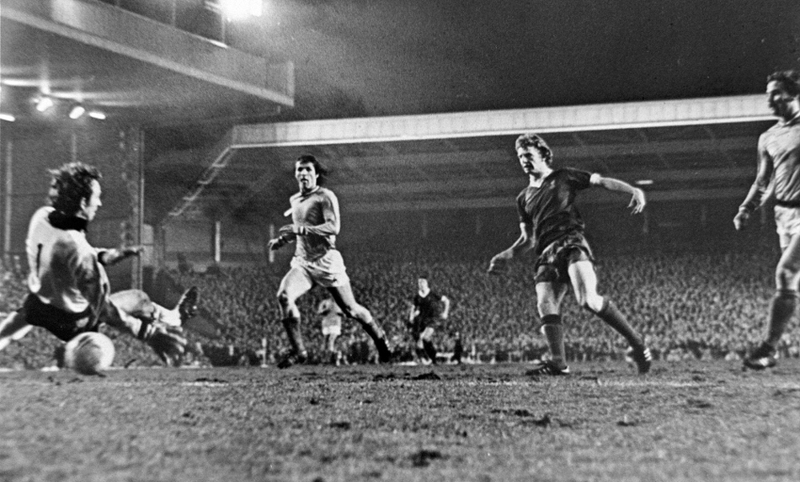 Fairclough, who came on for John Toshack with 16 minutes remaining, tore onto Ray Kennedy’s lofted pass, took firm control of the ball on the muddy Anfield pitch, and wrote his name into legend with a cool finish under Les Verts goalkeeper Ivan Curkovic. If May 27, 1981 was his only moment in the sun, Alan Kennedy would still be worthy of inclusion on this list, the Sunderland-born left-back lashing in a fierce finish from a tight angle at the Parc des Princes to secure a 1-0 win over Real Madrid and a third European Cup trophy in four years. 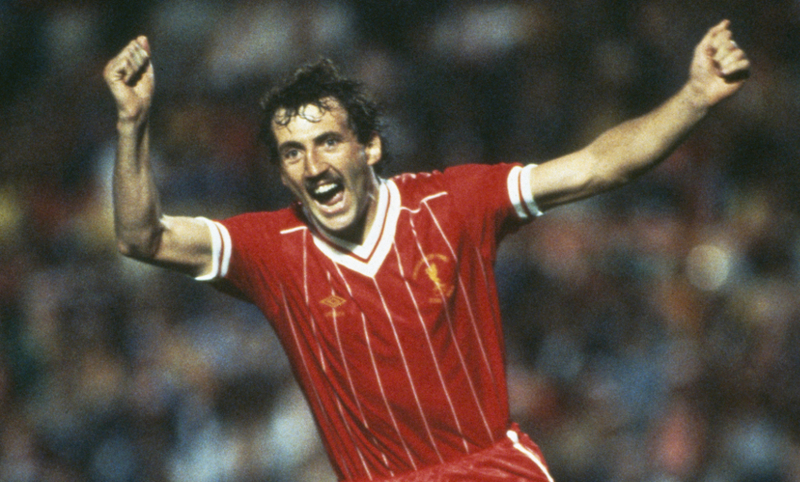 But in fact, the defender made quite the habit of it, also netting a crucial strike in the Reds’ come-from-behind defeat of Manchester United in the 1983 League Cup final, before another unforgettable contribution to European Cup victory No.4 a year later. With the penalty shootout poised at 3-2 in Liverpool’s favour, it was Kennedy who was entrusted with hitting the decisive spot-kick in the final at the Stadio Olimpico. He did so with aplomb, sending Franco Tancredi the wrong way and finding the top left corner to consign AS Roma to defeat at their home ground. Gary Gillespie scored a total of 16 goals in eight seasons at Anfield, so it’s something of a miracle that three of them came on one afternoon, against Birmingham City in the final home league game of the 1986 double season. The Scot’s first was exactly the kind of goal you would expect a central defender to score, a thumping header from a corner, but goals two and three were nothing of the sort. Gillespie charged upfield, played a consummate one-two with Ian Rush, nicked the ball past the goalkeeper and finished emphatically, then did the honours when the second penalty of the match was awarded. Regular taker Jan Molby kindly stepped aside when the Kop demanded that Gillespie take it, and the centre-back showed no sign of nerves with a strong finish past the beleaguered goalkeeper, who just so happened to be a young David Seaman. Liverpool have enjoyed some memorable wins at Chelsea over the years, not least the one that sealed the league title in 1986, but by the time Gerard Houllier’s men visited west London in January 2004 a staggering 14 years had passed since the Reds’ last victory at Stamford Bridge. It wasn’t Emile Heskey or Michael Owen who stepped forward to end that drought, however, but Bruno Cheyrou, the French midfielder sweeping a low Heskey cross back the way it had come to beat Carlo Cudicini. It was the second of five goals Cheyrou would score during his two years in the first team. Neil Mellor’s flame may have burned only briefly at Anfield, the Academy graduate eventually joining Preston North End after four injury-affected years with the first team, but it certainly shone brightly. It was in the winter of 2004 that the centre-forward, who’d just turned 22, truly distinguished himself, scoring a spectacular stoppage-time winner at the Kop end against Arsenal then playing a big part in that 3-1 victory over Olympiacos in the Champions League. Mellor helped set the Reds off on their way to Istanbul with a goal and an assist for Steven Gerrard’s famous late screamer. 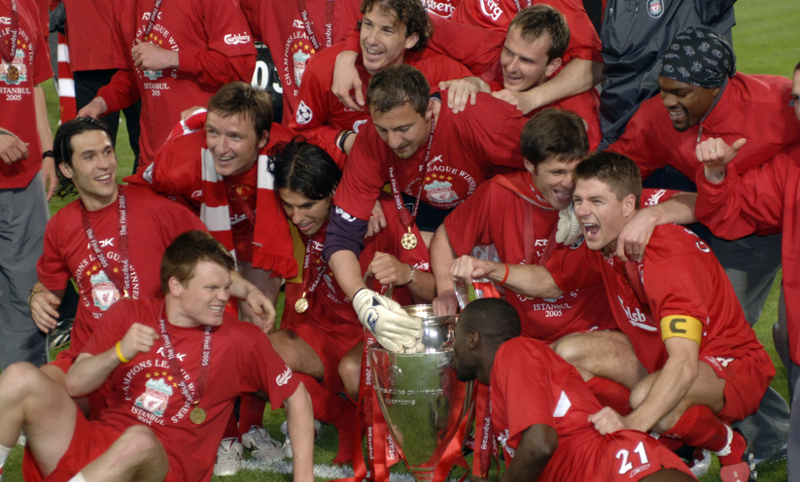 If there’s one Liverpool team that embodies the spirit of the unlikely hero more than any other it’s surely the Champions League winners of 2005. The heroes of Istanbul had to fight and scrape just to make it out of the group stage but defied expectations to go all the way and then pulled off the most amazing comeback ever seen in a European final, against AC Milan. Two of the men at the heart of that triumph were Jerzy Dudek and Vladimir Smicer, despite the Polish goalkeeper and the Czech winger having endured up-and-down campaigns up to that point where neither was guaranteed a start. On the night, Smicer, who had stepped off the bench to replace the injured Harry Kewell in the 23rd minute, blasted in the second of Liverpool’s three goals in six minutes, beating Dida from distance. 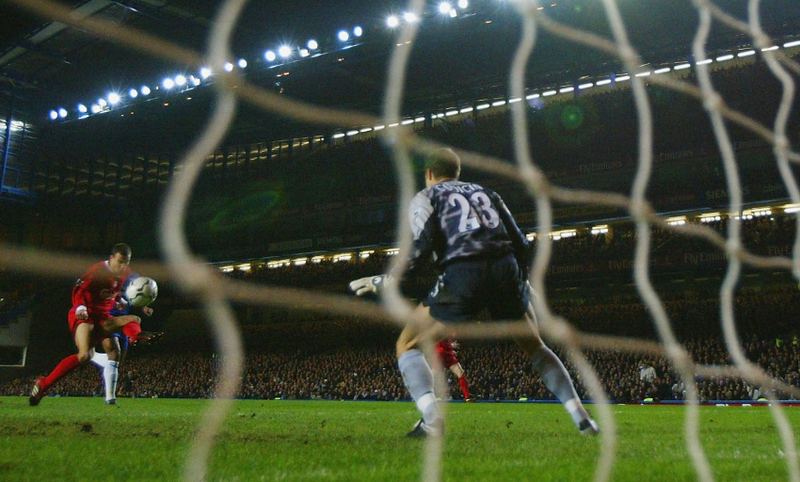 Dudek, meanwhile, made a stunning double-save from Andriy Shevchenko in extra-time, then denied Andrea Pirlo in the penalty shootout. Smicer stuck his own spot-kick away, before Dudek, invoking the memory of Bruce Grobbelaar’s famous spaghetti legs in 1984, thwarted Shevchenko again, and a fifth European Cup was on its way to the Anfield trophy room. Alvaro Arbeloa made his first start for Liverpool in February 2007, three weeks after signing for the club. The opponent? Barcelona. The venue? Camp Nou. An intimidating prospect at the best of times, Arbeloa’s task was magnified by the fact he was playing out of position at left-back and up against a young Lionel Messi. Nonetheless, the former Deportivo La Coruna full-back put in an assured display, neutralising Messi in a superb 2-1 win marked by Craig Bellamy and John Arne Riise’s strikes at the other end. Liverpool went on to win the tie on away goals and reach a second Champions League final in two years. Andrea Dossena was not always a guaranteed starter during his two years in L4, but for one week in 2009, the former Udinese man was a superstar. Coming off the bench in both games, the left-back scored the crowning fourth goal in each of the resounding 4-0 and 4-1 wins over Real Madrid and Manchester United respectively. 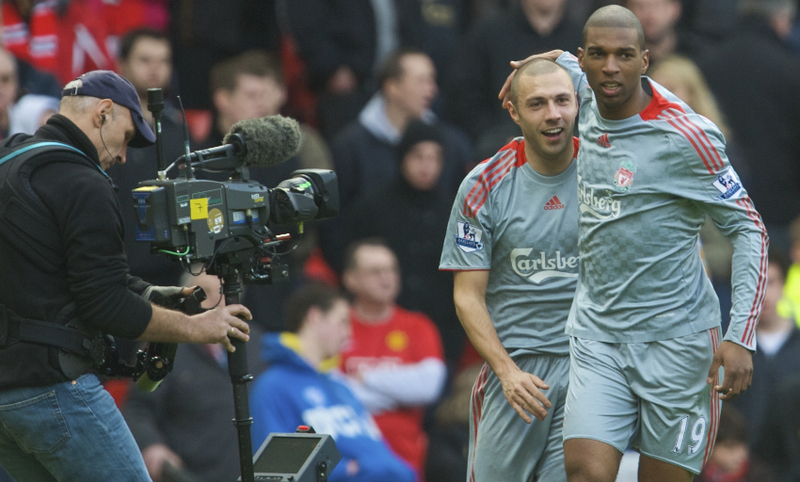 Dossena produced a straightforward back-post finish on the Tuesday, as Rafael Benitez’s side vanquished Real 5-0 on aggregate in the Champions League last 16, but delivered something magnificent at Old Trafford in the Premier League the following Saturday, latching onto a long ball and lobbing the helpless Edwin van der Sar. Ask any Liverpool fan for their favourite memories of last season and there’s a good chance the narrow win over Burnley on New Year’s Day will rank pretty favourably. Jürgen Klopp’s men required all their battling qualities to grind out the 2-1 victory in the rain and mud against Sean Dyche’s redoubtable Clarets, taking the lead through Sadio Mane, conceding a Johann Berg Gudmundsson equaliser, then snatching a 94th-minute decider scrambled in by Ragnar Klavan. It was the Estonian’s second and last goal for the Reds. The defender headed off to the sunny shores of Sardinia to play for Cagliari last August, but his cult hero status was assured that day at Turf Moor. 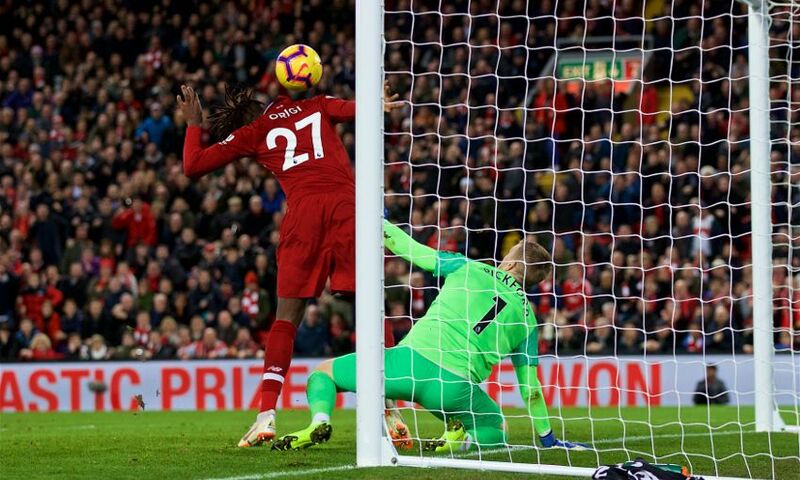 Perhaps Origi’s clincher against Everton last weekend shouldn’t have been a surprise, given that he’s scored in every Merseyside derby he’s appeared in at Anfield. Yet, having spent last season on loan at Wolfsburg, and with only 11 minutes of action under his belt this term before Sunday, the Belgian would not have featured on many first goalscorer betting coupons. But the 23-year-old showed the requisite anticipation and hunger to be in the right place at the right time as the clock ticked down, and in the process re-established himself as a hero among the fans, and an asset Klopp can call upon in times of need.